September-October Inside GNSS hot off the presses at ION GNSS 2008! The September-October 2008 issue of Inside GNSS magazine arrives hot off the press for the opening day of the Institute of Navigation’s 2008 GNSS conference on September 16 in Savannah, Georgia USA. Inside GNSS is in charge of the ION GNSS Show Daily. 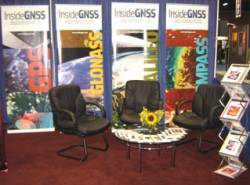 Bring your company news to editor Glen Gibbons in Booths 525-27 or email him before the show at glen@insidegnss.com. Gibbons will also cochair, with Peter Boulton of Spirent Communications, the Thursday morning session on New Product Announcements. 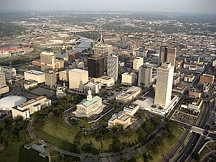 Nearly 2,000 attendees from 40 companies – representing GPS, Galileo, and GLONASS and other systems – are expected at the conference, which runs from September 16 to 19 at the Savannah Convention Center. For information and registration, go to the ION website at www.ion.org.